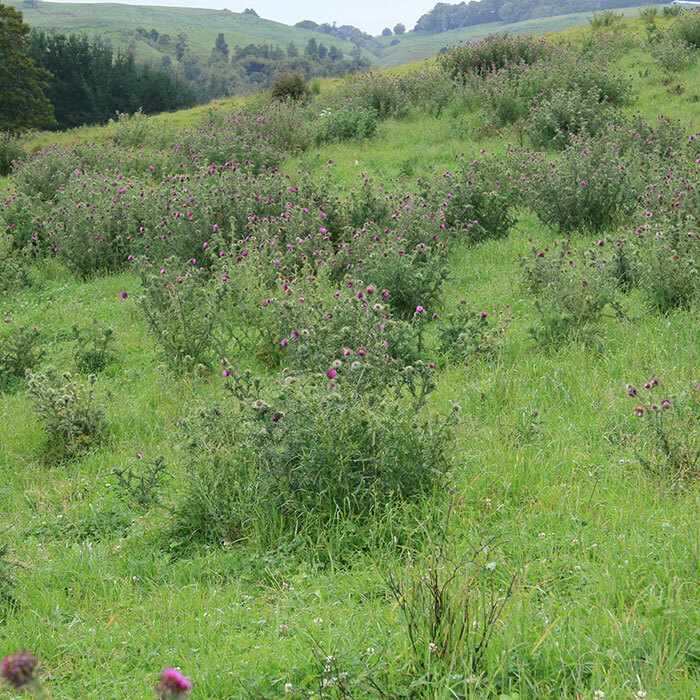 Nodding thistles have an annual or biennial life-cycle, living for one or two years. Nodding thistle spread quickly across New Zealand in the 1950s, possibly as the result of a series of dry summers. If seeds become buried 50 mm deep in the soil, over 40% of the seeds may be viable 4 years later. Seed can remain viable in the ground for 15 – 20 years. Bee-keepers value nodding thistle flowers as they provide copious pollen and nectar for bees and other insects. Sheep growth rates can also be reduced indirectly through herbicide damage to clovers when thistles are sprayed. Where new improved cocksfoot varieties perform well they may to keep thistles out. In some areas, thistles have developed resistance to phenoxy herbicides such as MCPA, MCPB, 2,4-D; use non-phenoxy herbicides such as metsulfuron-methyl, clopyralid or glyphosate to control them. Thistle numbers have declined at infected sites. Attacks thistles including Carduus spp. Strongly prefers nodding thistle and plumeless thistle (Carduus acanthoides). The weevil prefers nodding thistle but will also attack other thistles. Harrington KC 1989. 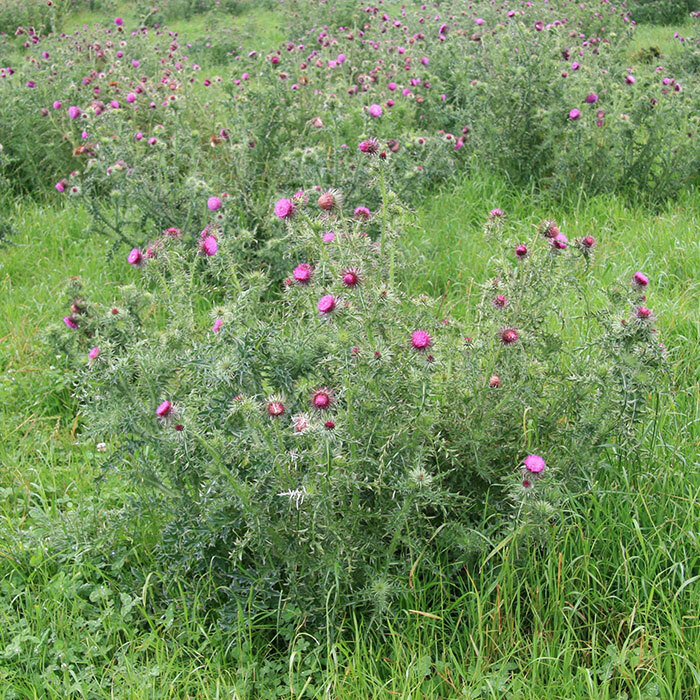 Distribution and cross-tolerance of MCPA-resistant nodding thistle. Proceedings 42nd Weed and Pest Control Conference: 39-42. (accessed 4 August 2014). Healy AJ 1960. 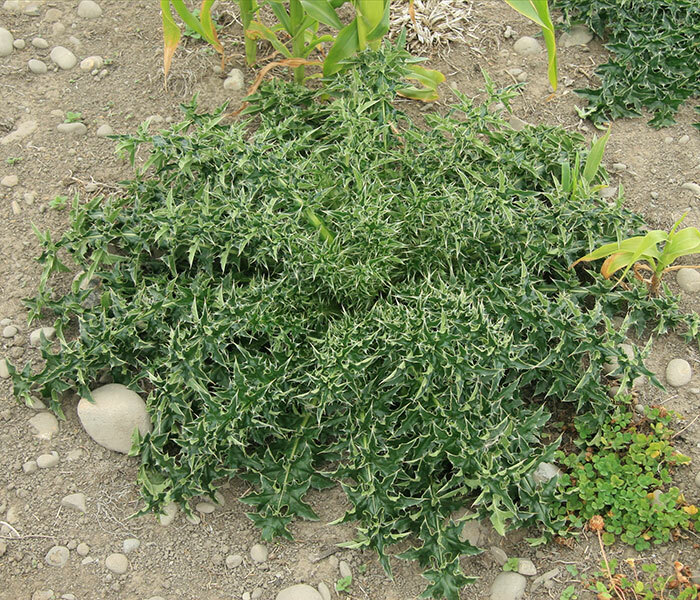 Identification of thistles and thistle-like weeds. Proceedings of the New Zealand Weed Control Conference, 13: 16-22. (accessed 4 August 2014). James TK, Rahman A, Travedi P 2010. Germination of seed from ﬁve broadleaf weeds after burial for up to 28 years in two soils. New Zealand Plant Protection Conference, 63: 84-89. (accessed 4 August 2014). Kelly D, McCallum K, Schmidt CJ, Scanlan PM 1990. Seed predation in nodding and slender winged thistles by nodding thistle receptacle weevil. Proceedings 43rd New Zealand Weed and Pest Control Society: 212-215. (accessed 4 August 2014). Hawke’s Bay Regional Council 2002. Environment Topics. 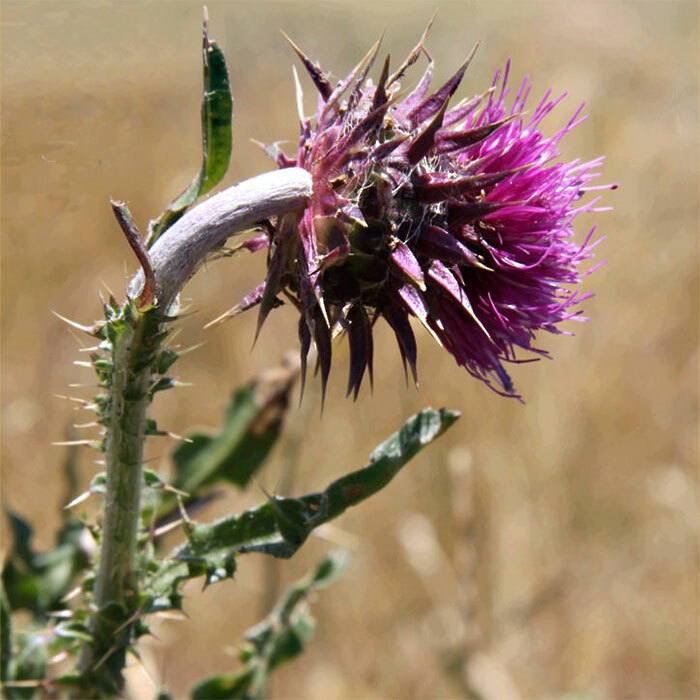 Plant pest control, Land plant pests: Nodding Thistle: Carduus nutans. (accessed 4 August 2014). McCallum K, Kelly D 1990. Pre and post-dispersal predation of nodding thistle seeds by birds and rodents.Proceedings of the 43rd New Zealand Weed and Pest Control Society: 212-215. (accessed 4 August 2014). Popay AI, Medd RW 1995. Carduus nutans L. ssp. nutans. In: Groves RH, Shepherd RCH, Richardson RG eds. The Biology of Australian Weeds, Volume 1. RG and FJ Richardson Publishers, Melbourne, Australia. Pp 29-49.